The Buttermilk ski area has long been known for gently rolling trails for beginning skiers and families, as well as its ski and snowboard school. 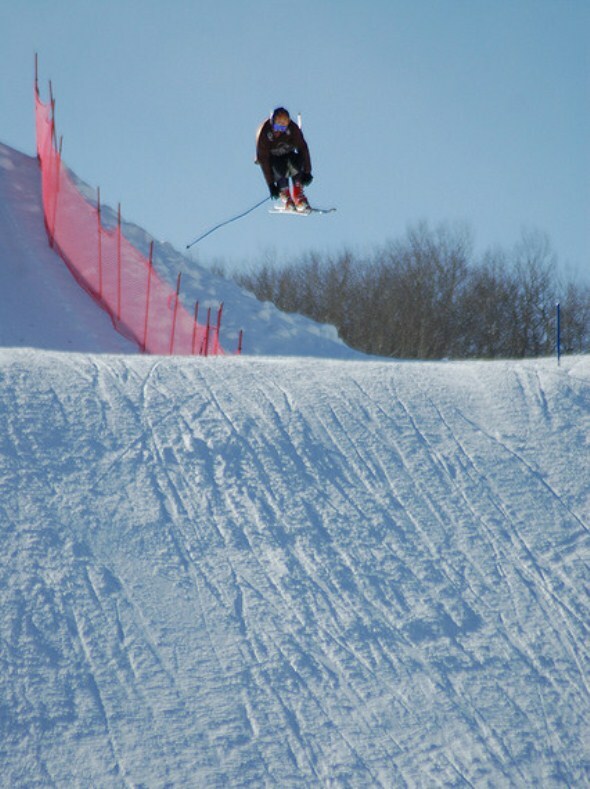 In recent years, it has earned a different reputation by adding two terrain parks and hosting the ESPN Winter X Games. Buttermilk rises to an altitude of 9,900 feet from a base of 7,870 feet and classifies 35 percent of its runs as beginner, 39 percent as more difficult, and 26 percent as most difficult. There are no expert runs. It has 44 trails covering 21 miles on 470 acres, making it the smallest of Aspen’s ski areas. There are three sections to the mountain – Main Buttermilk in the center, which has trails with a mix of difficulty; West Buttermilk, which has wide groomed trails for beginners; and Tiehack to the east, which has the only trails at Buttermilk rated more difficult and is known for steeper, rolling runs. Buttermilk has two terrain parks. Buttermilk Park has more than 100 features, highlighted by an Olympic-caliber superpipe that’s 400 feet long and has walls 22 feet high and an X Games slopestyle course. Beginners will find a home at the Panda Pipe and Ski & Snowboard Schools Park, also called S3 Park. There are seven lifts, plus two reserved for the ski and snowboard school, with a total capacity of 7,500 riders per hour. The ski area averages 200 inches of snow, with a ski season that begins in mid-December and runs into early April. It has snowmaking capability on 108 acres. Butttermilk has two restaurants, including Cliffhouse at the East Summit (9,720 feet). The Aspen Skiing Co. opened Buttermilk in 1958 to give beginning skiers and families an alternative to the expert slopes on Aspen Mountain.